If NBC and Brian Williams believed a Facebook post and an on-air apology were enough, they were wrong. In the hours after Williams recanted a long-told story about an RPG attack in Iraq, rank and file employees at NBC News openly wondered whether he would be sanctioned -- or worse -- for the series of errors. Some of the employees said they doubted that Williams made an innocent mistake and said he'd damaged the network's credibility as well as his own. But most employees predicted that Williams' job was safe, and some cautioned against an overreaction to the misstatements. No disciplinary action against the anchor is expected. The executives in charge of the news division have declined to comment, perhaps out of a reluctance to advance the story. And following his apology on Wednesday, Williams said nothing more about it on his Thursday night newscast. 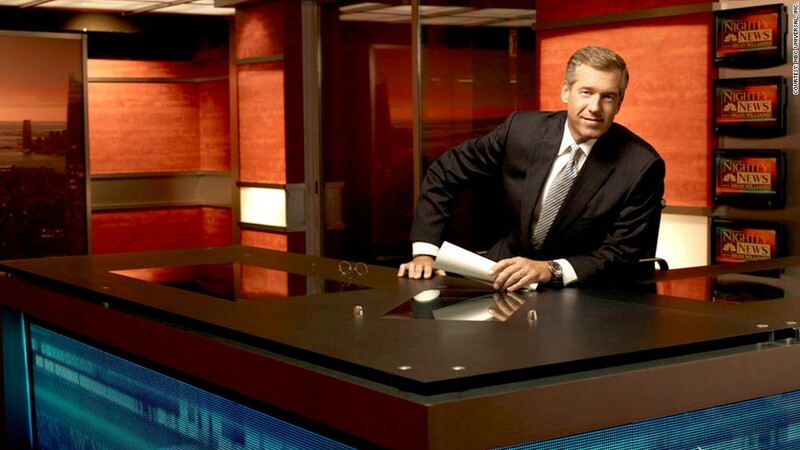 Williams says he made an innocent mistake: Brian Williams has been NBC's top news anchor for the past decade. Several times in recent years, he has said that he was aboard a U.S. Army helicopter when it was hit by a rocket-propelled grenade on one of the first days of the Iraq War in 2003. 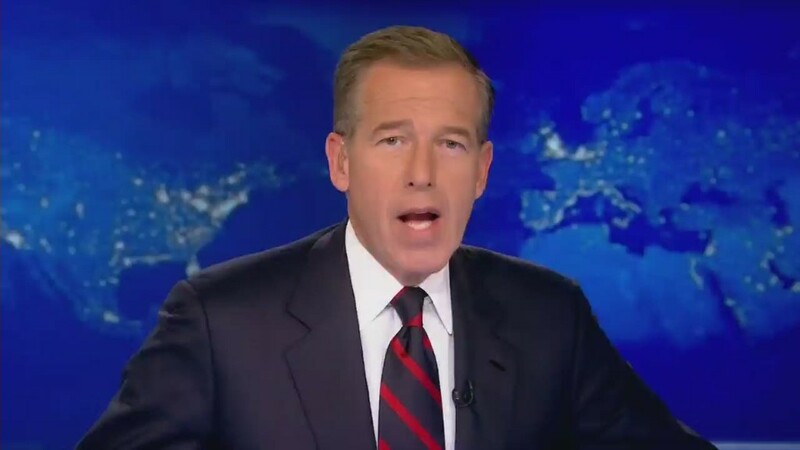 Last Friday, while honoring a veteran on "NBC Nightly News," Williams recounted how his helicopter was "forced down after being hit by an RPG." He apologized on Wednesday's "NBC Nightly News" for that specific error -- "I made a mistake," he said -- but he did not address his broader series of misstatements in the past. Williams' apology came after soldiers challenged his account on Facebook and the military newspaper Stars and Stripes began investigating. Stars and Stripes interviewed several crew members on the 159th Aviation Regiment's helicopter that actually was struck by the RPG, and they said "the NBC anchor was nowhere near that aircraft or two other Chinooks flying in the formation that took fire." Stars and Stripes reported Wednesday that "Williams arrived in the area about an hour later on another helicopter after the other three had made an emergency landing, the crew members said." Helicopter pilot tells CNN Williams 'messed up': Rich Krell, who was piloting the Chinook that Williams was on, tells a different story than the crew members who spoke to Stars and Stripes. Anger inside NBC about the 'fish tale': Others have called the RPG attack story "a fish tale," one that grew and grew over the years, to the point where Williams felt comfortable saying that he'd been aboard the Chinook that was struck by the RPG. An NBC News spokeswoman said Thursday that the network stood by Williams' apology and had nothing further to say. Williams is the face of NBC News and is beloved by many viewers. Last December he signed a new contract that extends almost through the end of the decade. At the time, Williams said that it was akin to "reaffirming your vows." Williams has many fans within the news division, but they were mostly silent on Thursday. Others within the news division, granted anonymity to speak freely about the situation, said there was widespread shock and disbelief about Williams' foggy-memory explanation. One correspondent called it "unreal." Correspondents and producers with war zone experience seemed particularly perturbed. "I don't know how you manage to begin to clean up from this, or if you even can," said one longtime employee. "He's in for a hell of a ride." For much of the day, the hashtag #BrianWilliamsRemembers was trending on Twitter across the United States. Williams found himself the punchline of jokes. Yet NBC executives seemed to conclude that they could stomach the criticism and continue to support Williams.